The Ventura County Health Care Agency provides health care to all individuals, regardless of ability to pay. We encourage our self-pay, low income, and uninsured patients to apply for government assistance programs. 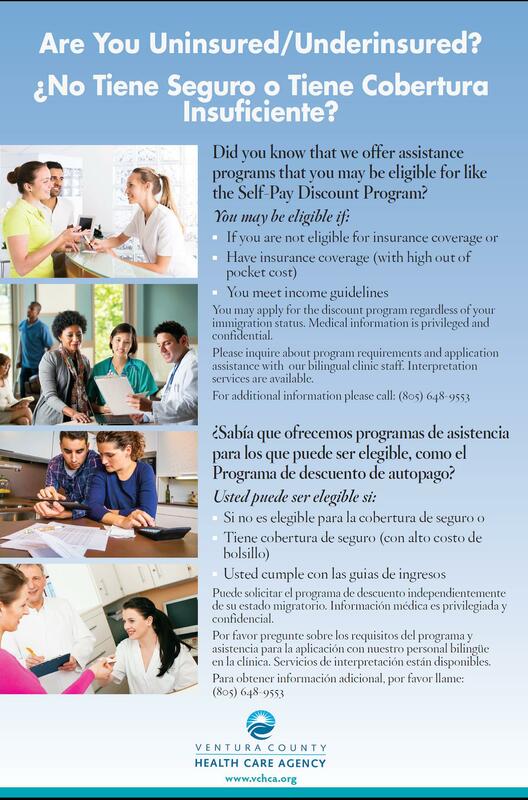 For patients who are not eligible for other programs, the Ventura County Health Care Agency offers the Self-Pay Discount Program.